LR Baggs Lyric Acoustic Microphone System with FREE D'Addario 3 Pack! Best in Show Winner of the Best New Accessory category at NAMM in 2008, these Dean Markley Vintage Reissue Nickel Plated Round Core Electric Guitar Strings have sustained there place at the top of rock and roll! Dean Markley Vintage Reissue Nickel Plated Round Core Electric Guitar Strings offer a full, warm tone with maximum sustain. These are the same original Vintage Electric strings that became world famous for that classic rock sound! These nickel plated steel strings are hand wound over a round core, allowing 100% contact with the wrap wire, producing long sustained vibration throughout the string. For the a pure nickel sound, check out these Dean Markley Jimi Hendrix Pure Nickel Electric Guitar Strings! Still not what you are looking for? Check out our full line of Dean Markley Strings! I've used Dean Markley Lights exclusively since the mid 70s, and have never felt the need to change brands. They've always been consistent in gauge, reliability and tone. Wish I would've kept all the vinyl decals - could've covered a wall with them. I never have understood the 'boutique' string thing. I really love these strings, I tried them on a whim because they were on sale and quite cheap, but now I would easily pay 6+ bucks per pack. They sound really warm and give a nice fat squashy midrange to your tone, very vintage sounding. The round core and nickel wrap combine for a really fat sounding, long sustaining tone with a smooth attack. Love em. I've found my Dream Strings! I'm not known to be gentle on my strings--As a matter of fact I was busting strings so often, I just started buying different brands and types of strings in the hopes of finding one that would hold up a little longer and save me money and time changing strings. 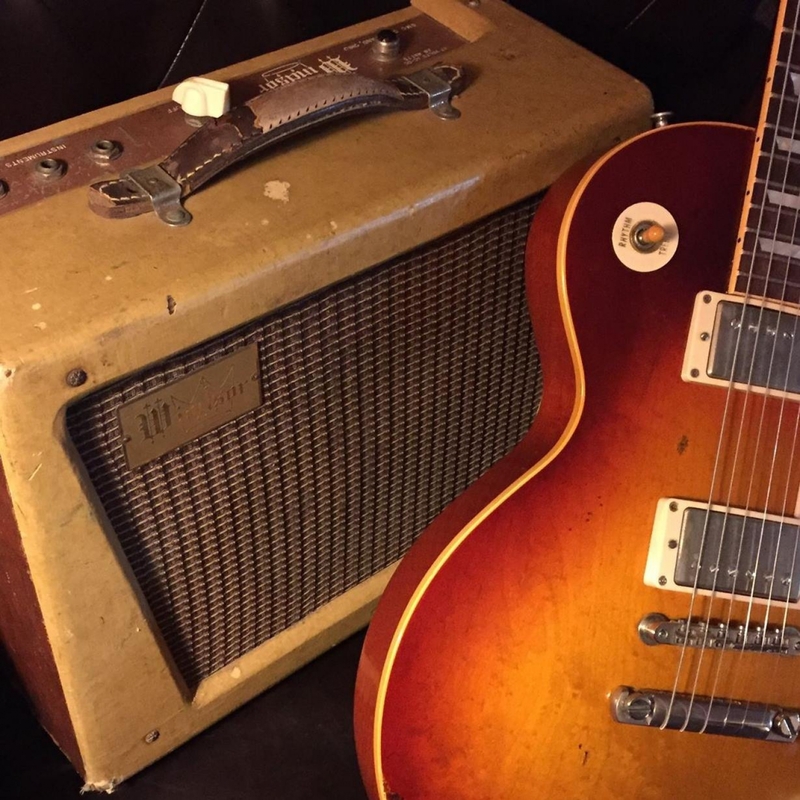 Well-as soon as I put a set of these (1973's) on my Les Paul Standard, it was like I had found my String-mate! Not only do they sound GREAT, but that first set put up with some serious thrashing, and NEVER broke a single string. I finally had to change them out because they wouldn't stay in tune, but that was after a good amount of heavy playing, and not a BREAK! I liked them so much, I put a set on my Strat (which I had been running another brand's 9's in), and they sound and feel great on there too---and again, NO BREAKS!! Thanks Markley! Ive been using ernie balls for years, but I wanted something that would hold up a little better (I bend a lot). Ive just put a set of '73 vintage on my samick. The deans are a smaller guage than the ernie balls, but they feel sturdier than what ive been using. I think they will turn out to be some great strings. I have been using these since I can remember - late 70's. I have tried a number of brands over the years, but these are the best for my Les Pauls, my Telecaster and do pretty well on the Stratocaster - especially for the clean hollow in-between tone. I like the Blue Steels too - but for the price, these are just fine and I can afford to change them a little more often.